Guernsey FC's Isthmian League Division One fixture at South Park has been rearranged for Tuesday 3 February. The game was originally scheduled to take place last Saturday, but postponed because of a waterlogged pitch. It means a ninth midweek away fixture for the Green Lions this season, although as the list stands, it will be the last of the current campaign. 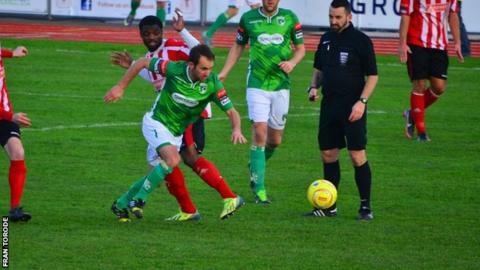 Guernsey's midweek away record has been poor, losing six and winning just one of their eight games so far. Tony Vance's side at Footes Lane back in August.